It’s thawing! It’s thawing! At least in my region of Canuckia, I’m pleased to announce there is significantly less feet of snow remaining than there was last week. 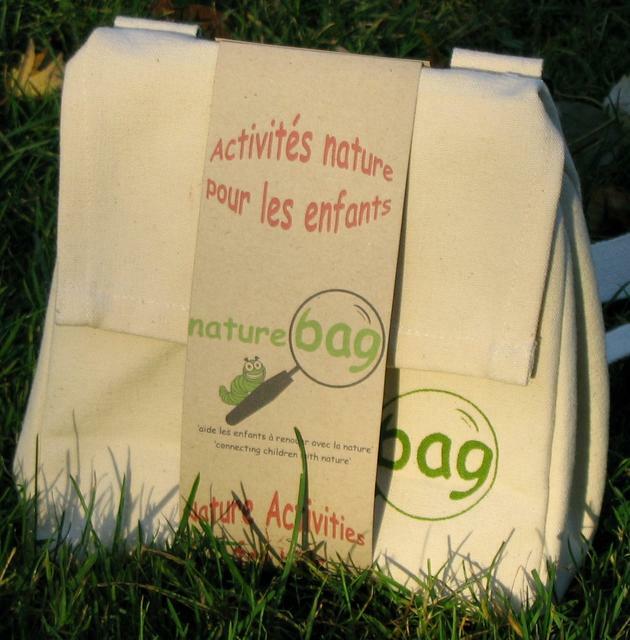 All this lovely Spring-tease weather is making me eager to find outdoorsy gifts, so forgive me if this is a little premature, but I thought it was really cute – the Naturebag, created by a Canadian duo of mommies and found on a Canadian eTailer. The bag itself forms the basis of the set, and is a fair trade product, made in southern India. The contents of the bag are basically everything you need to set your little one’s mind free in the great outdoors, giving them a much-needed break from the video game and movie hibernation most Canadian kids go through every winter. Start things off with the activity booklet that outlines year-round (!) 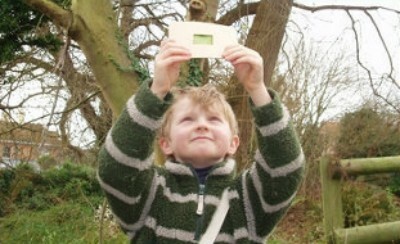 options for outdoor play for kids aged 3-12. From there, use the included eco-friendly, organic, and fair trade items including soy-based crayons, recycled paper products, and an all-natural magnifying glass. Presto, you’ve got endless afternoons of good, clean fun. I found the kit on Little Footprints, a Canadian kid-friendly eTailer that specializes in socially conscious gear. No matter what item you buy on the site, you can guarantee it’s meeting one of their mandated ‘footprints’ – ranging from organic and sustainable to local and responsible. 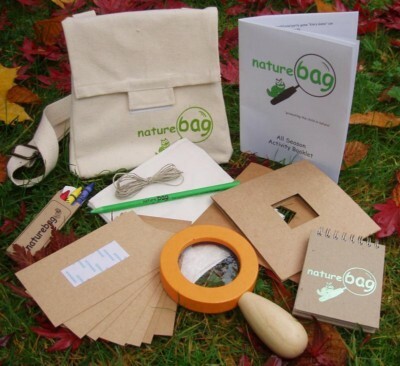 There are a million ideas on there for kids of all ages, but the Naturebag is a pretty nifty choice at $35 for the child that hasn’t had a chance to explore their natural enthusiast. Did I mention it also comes en francais for our bilingual tots?